On Saturday, September 22nd, MFT’s Policy and Research Director, Ellen Stern Griswold, participated in a policy teach-in at the Maine Organic Farmers and Gardeners Association (MOFGA)’s Common Ground Country Fair. The policy roundtable, which MFT co-sponsored with MFOGA, focused on the policy changes needed to better support agriculture in Maine and to grow the agricultural economy. During the roundtable, Ellen discussed the process that has been underway for the last year to create an Initial Agriculture Policy Platform, as well as the outreach effort that is being planned to farmers and other agriculture stakeholders to get feedback on the Platform and to refine the document before sharing it with the next state administration. This outreach effort will include facilitated in-person meetings across the state, webinars, and online and paper surveys. Other roundtable participants included Penny Jordan of Jordan’s Farm in Cape Elizabeth and President of the Maine Farm Bureau, who discussed the policy changes that are needed to enhance farmer profitability; Ben Whalen, co-owner of Bumbleroot Organic Farm in Windham and a member of the Southern Maine Young Farmers Coalition, who discussed the challenges and opportunities facing the next generation of farmers in Maine; and Jim Gerritsen of Wood Prairie Family Farm in Bridgewater and President of the Organic Seed Growers and Trade Association, who discussed the federal policy changes that are needed to better support family farmers in Maine. Heather Spalding, MOFGA’s Deputy Director, moderated the discussion. 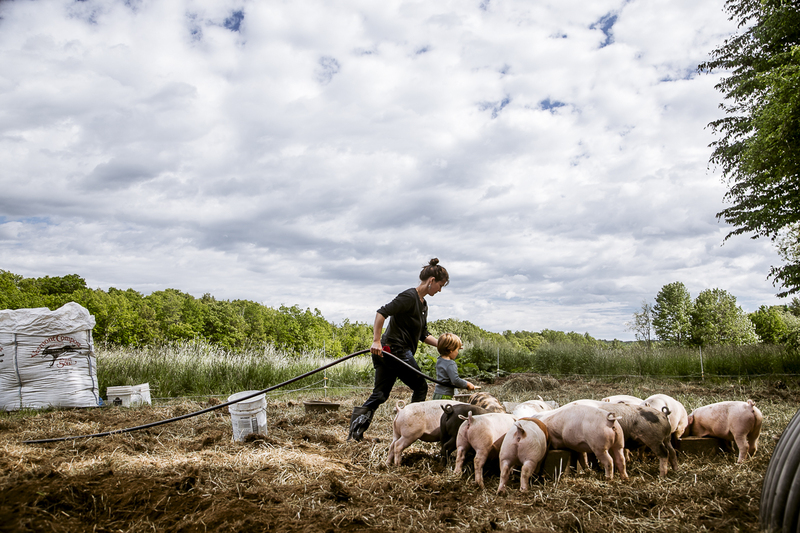 you can help shape food and agriculture policy.